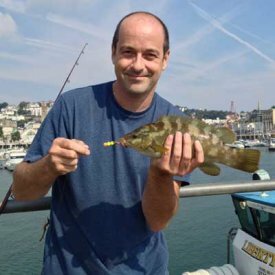 Run by experienced fisherman Simon Day, Torbay Fishing offers full training session for new and inexperienced shore and sea anglers of all ages and ranges. Simon will teach you everything from setting up a fishing rod, tieing the most common knots, how to cast, float a feather and land your catch of the day. His website is also packed with local information about where to fish, the fishing seasons, rigs and guides.